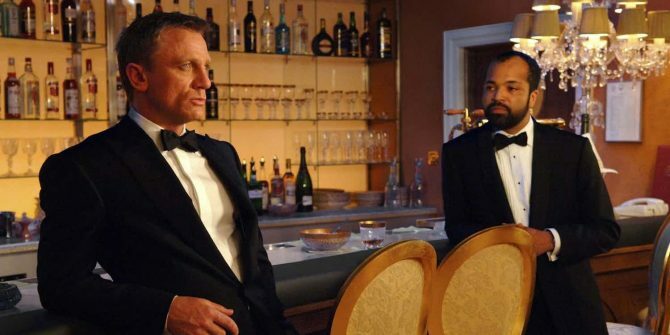 When the James Bond franchise was rebooted with Casino Royale, one of the best new additions was Jeffrey Wright’s version of Felix Leiter. He later returned in Quantum of Solace but unfortunately, was absent from both Skyfall and Spectre and as a result, the character’s future has remained unknown ever since. Then again, we still have no clue at all in regards to what to expect from the twenty-fifth instalment of the James Bond franchise. Daniel Craig’s return is far from confirmed, and we’re also unsure of whether it will ultimately be Sony Pictures or Warner Bros. that acts as the distributor for the film. Now though, in an interesting turn of events, Wright has taken to Twitter to seemingly confirm that he could be about to make another appearance in the franchise. Of course, given the actor’s increased profile following his Westworld stint, it makes sense that MGM wants him back for another round and it would certainly be nice to see him given a far more significant role here, as his relationship with 007 was an unexpected highlight of those first two movies in the Craig era of James Bond. Considering the fact that Wright might just be sharing a random photo he likes, we wouldn’t get too excited just yet, but if he really is set to return to the James Bond franchise for the next film, then that’s certainly a step in the right direction for Bond 25 and has us curious as to who else might be showing up unexpectedly.